If you are in search for the perfect smile, it seems that a new study has pinpointed exactly the characteristics needed. Apparently, the white, evenly spaced teeth that veneers can give you is universally recognized as the ideal smile. However, it seems that what we don’t know is why this smile is considered more attractive than yellow or crooked teeth. Interestingly, researchers have suggested that our teeth have always been crucial when deciding on a potential mate. For example, a smile is one of the first things that we notice in others and we subconsciously judge a person’s health on the appearance of their smile. White and evenly spaced teeth are considered indicators of the health and good genes of that person. So, if you aren’t exactly sporting this perfect smile, it’s okay! At Kim Norman, DDS, Dentistry for the Individual we offer our patients veneers to hide unattractive teeth and create a more attractive, gorgeous smile! Veneers do not replace an entire tooth, instead, they are attached to the front of the tooth to hide it. The process can be completed in two trips to our office and is irreversible. 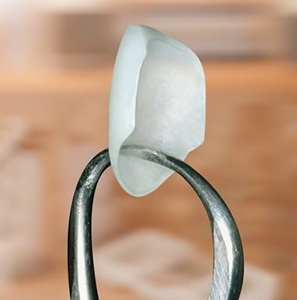 Usually, veneers can last up to 10 to 15 years when cared for properly. At our office, Dr. Kim Norman is experienced in providing patients with beautiful, flawless smiles with our veneers procedure. He is skilled at listening to the patients’ desired results and crafting a smile that perfectly matches that. During the first visit to our office, you will consult with Dr. Kim Norman. At this time you can express the color, shape and size of your veneers. Then a small amount of enamel will be removed from your teeth. This is a painless process but anesthesia can be used if the patient needs it. After this, a mold will be taken of your teeth and used to create your customized veneers. Once we receive your veneers, they will be attached to the front of your teeth using dental cement. After small last minute changes, you are free to enjoy your new, beautiful smile! If you are interested in perfecting your smile, contact us for our veneers procedure. Visit us at Kim Norman DDS Dentistry for the Individual in Maryville, TN or call us today at (865) 982-9662!